Disclaimer: This is my first attempt at rifle painting. I did my research on “how to” for most of a year before I decided to take the leap. 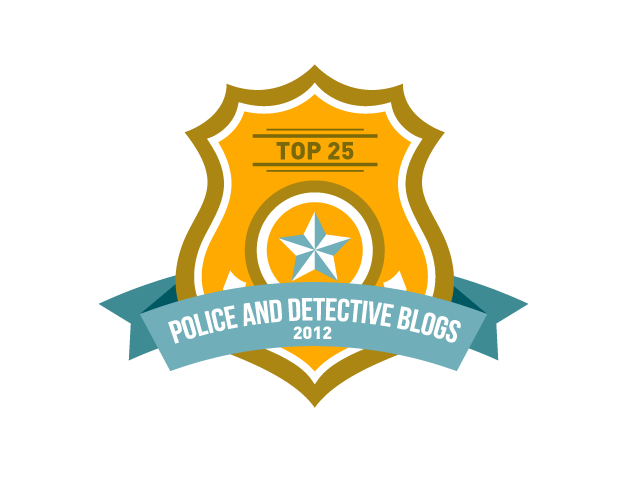 Take my advice here as a starting point and do your own research before attempting it yourself. 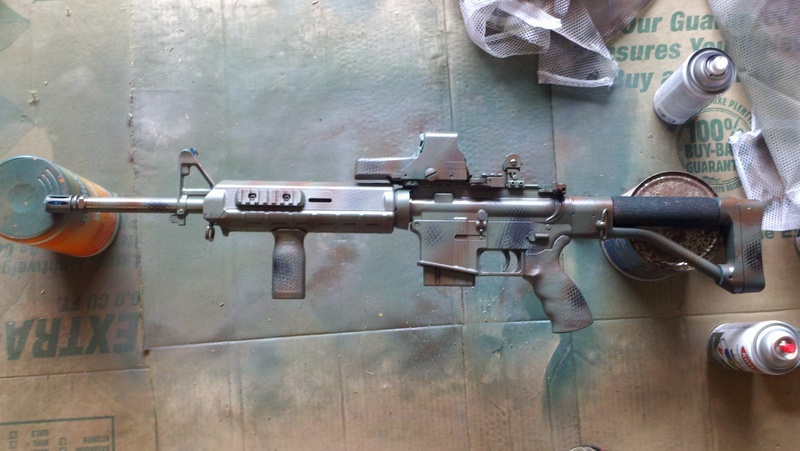 Spray painting the AR/M16 rifle is not something very radical or new. Soldiers have been doing it for a while now when their chain of command allows it. Painting of course is primarily intended to camouflage the weapon. 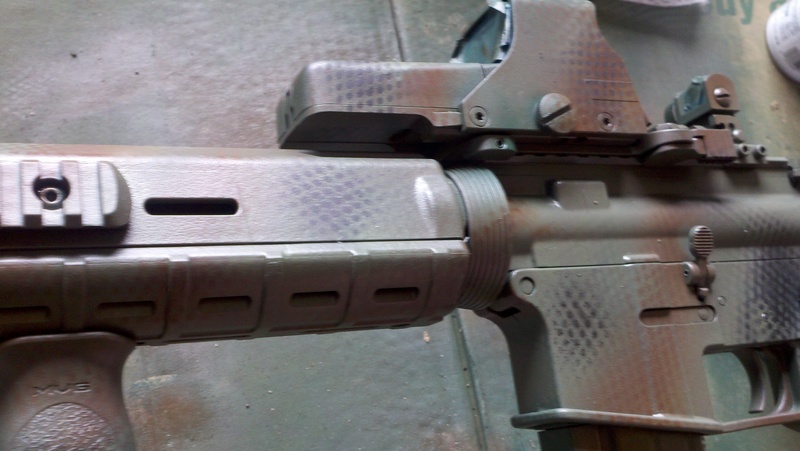 In addition the coat of paint protects the rifle and for the hobbyist/general owner it gives you a way to individualize your gun and it’s just plain fun. The first step is choosing a color scheme and buying your paints. I went with Krylon spray paint from the local hardware store. Krylon is NOT permanent and it will wear off over time. There are other high end paints out there like Duracoat and Aluma-Hyde which are permanent/semi-permanent. Those paints typically require more effort and care in application, some even require you to bake the finish on in your oven. The advantage of Krylon (IMO) is that it’s more forgiving for newb’s like me and it provides the option of removing/changing the color scheme when you tire of it. I selected a dark green, a khaki/light green, brown and black to mimic the good ole’ woodland camouflage from my days back in uniform. 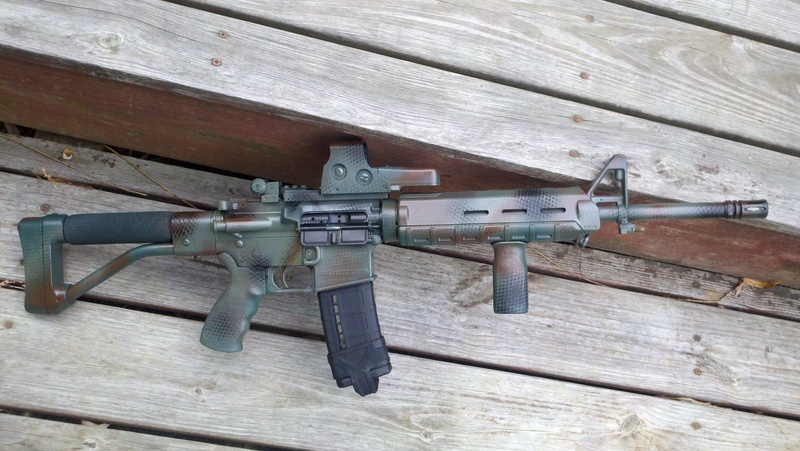 Once you have your paints and supplies the next thing you need to do is prepare your rifle. I removed the bolt/carrier, made sure the dust cover was closed and put a magazine in the mag-well. 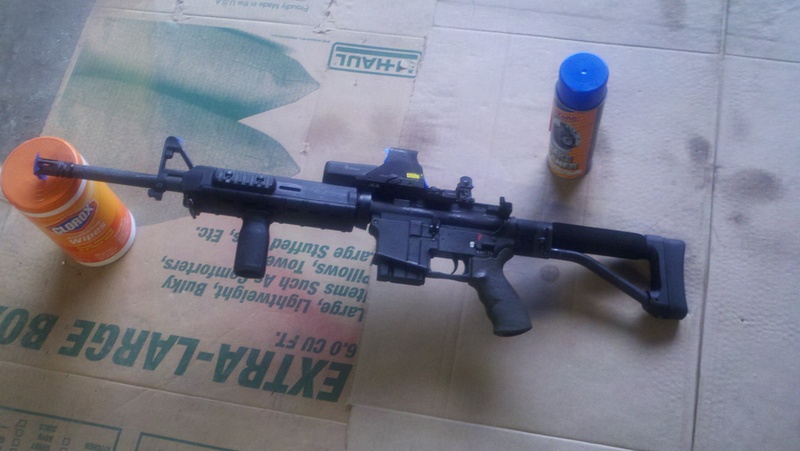 I then taped over the areas I didn’t want painted; the front sight post well, the rear apertures, the glass/controls for my EoTech and I plugged the muzzle with a wad of painters tape. Next you want to remove any trace of oil, lubricant or body oils from the weapon. Put on some rubber gloves and blast the entire weapon with some brake cleaner then let dry. 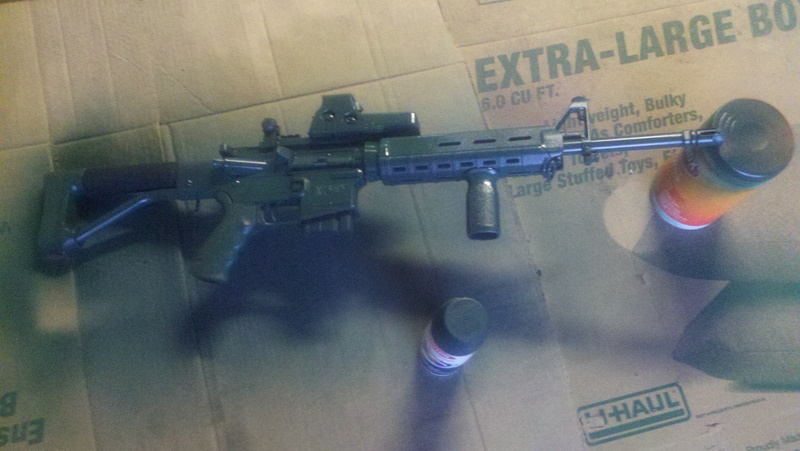 Once the weapon was bone dry I laid on a base coat of dark green paint over the entire gun. You will want to work with light passes from multiple angles so that you evenly coat all the nooks and crannies (mine reminded me of an “Army Men” plastic gun when coated). Too much paint will pool and run and take longer to dry (I learned that lesson on parts of my gun). Again…let dry. Now is when you can get creative. By laying various items like leaves (plastic ones), netting, or taped on shapes, you can mask off areas while you apply stripes, blotches and bursts of other colored paints. I used some mesh laundry bag. From here on out I really don’t have any step-by-step for you. You just keep working on your pattern till you are happy. I did everything from light dustings of color to sticking the mesh on still wet areas of paint and hitting it with another color. The results are below. While it’s not quite the result I fantasized about (nothing ever seems to come out that way anyways), I’m content with the end product. 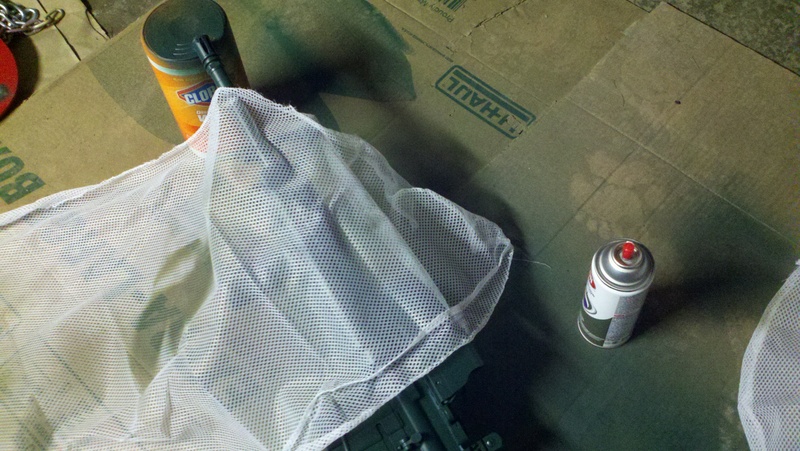 One thing I could have done and may still do is give the gun a finishing coat of clear matte spray to kill any shine. As I stated earlier, this will wear off, but that can even add to the camouflage. When it gets extremely worn you can touch-up the paint job or do an entire repaint. 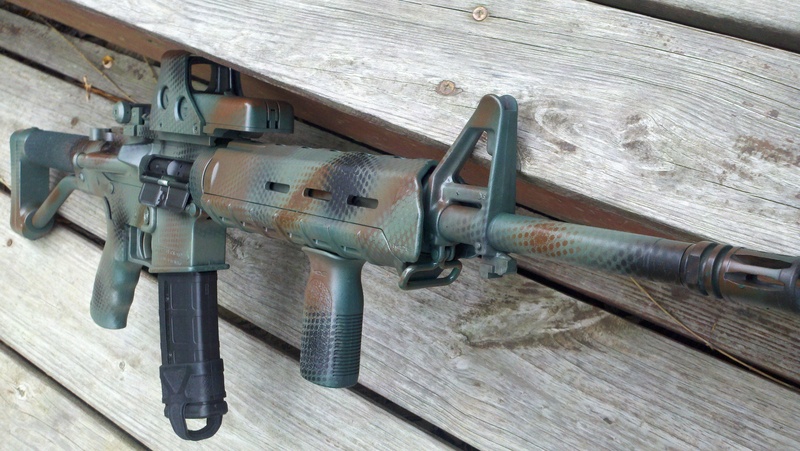 So, if painting your rifle is something you have been thinking about doing but have been too nervous to try, give it a shot. The worst that can happen with Krylon is that you will have to spend some time scrubbing it off with solvent if you screw up. 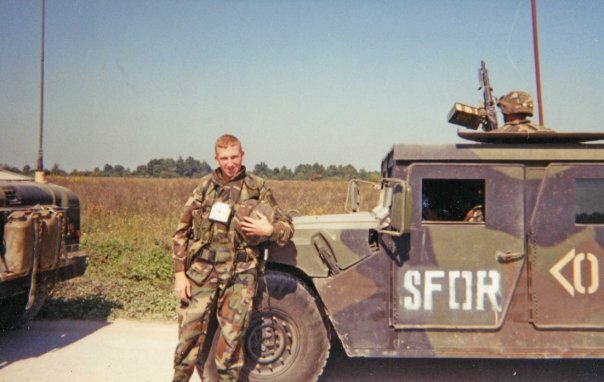 Previous PostCombat Leadership: Lt. Audie MurphyNext Post10-8 standards…again.